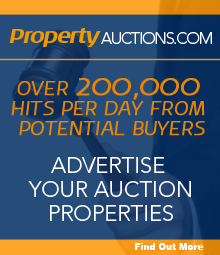 When you first visit our site we will automatically send you a cookie (a small text file which we create and send to your computer) which allows us to recognise you when you come back to the propertyauctions.com website. In addition to the cookies we send to your computer some of our advertisers and third party adservers will also send you their own cookies. If you are concerned about cookies you have the ability through your browser to either reject all cookies or to provide a warning before any cookie is loaded on to your computer but if you decide to reject cookies you may find that you will not be able to take full advantage of some of the features and services in the propertyauctions.com website.